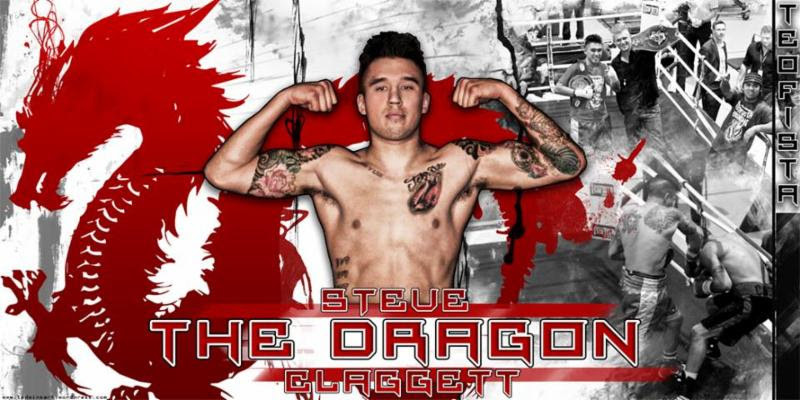 KO Night Boxing LLC announced it has signed popular Canadian junior welterweight Steve “The Dragon” Claggett to an exclusive promotional contract. The Las Vegas-based company also has 2016 Olympic bronze medalist and undefeated Wichita flyweight, Nico Hernandez (3-0), 2 KOs), among its growing stable of professional boxers. The 28-year-old Claggett (26-4-1, 17 KOs), fighting out of Calgary, is a fan-favorite because of his aggressive, non-stop style. Since the ultra-aggressive Claggett moved back down one division to junior welterweight, Claggett is a perfect 3-0 (1 KO), including a pair of title-winning 10-round decisions over previously unbeaten opponents, Yves Ulysse, Jr. (14-0) for the vacant International Boxing Federation (IBF) North American super lightweight title, as well as Emmanuel Robles (15-0-1) for the vacant World Boxing Association (WBA) NABA USA super lightweight crown. “I’m excited to be signed by John Andersen and KO Night Boxing,” Claggett said. “There were no guarantees (without a promoter). I’ve always had the talent but never the structure. I’ll have that now, though. It was always difficult making fights with long layoffs, dates falling through, and offers on short notice. I’ve only been able to show a little of what I’m capable. All I’ve ever wanted is a fair shake and this opportunity will allow me to show what I can do. This year is going to be big for me and KO Night Boxing. “We’re taking a big step in the right direction by signing Steve,” Claggett’s new promoter Andersen commented. “I’m excited. Steve deserves this opportunity and we’re going to deliver for him. The boxing irony is that Ulysse, not Claggett, is now world ranked. Considering the half-Chinese, half-European Claggett beat Ulysse in his Montreal hometown, Steve proved that he’ll fight anybody, anywhere, unlike many fighters who make that claim but don’t back it up. “Me and my team aren’t afraid to fight anybody,” he spoke about his most significant fight to date. “Bring it on! I’m willing to fight in hostile territory against an A-side fighter. We don’t pick and choose. Too many fighters pad their records, but that only upsets fans, and delays fights. I’m looking for tough fights to judge how much I’ve grown. I’d love to fight the top guys. Maybe Claggett’s next fight will be on a higher platform, perhaps, against a legitimate fighter’s fighter like Steve.